It has only been a few months since Disney announced that Jon Favreau would direct a reimagining of The Lion King. Now they have found the person who will voice Simba, the young cub who will be king. They have also found the voice of his father. Both casting choices could not be more spot on. 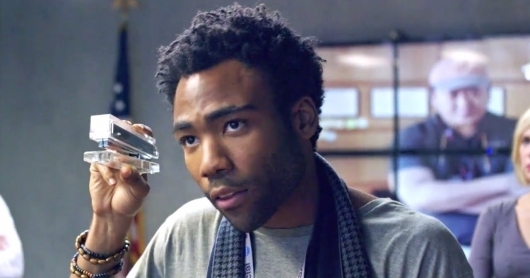 According to a new report, Atlanta star Donald Glover will voice Simba, while James Earl Jones will reprise his voice role as Mufasa. More on the story below. Now it is still not clear if the new film will be done in motion-capture or if it will be just a voice role. It was hard enough to coordinate the schedules for the cast of the live-action The Jungle Book. Still, that film was a hit, even though the actors were never in the same room. But it should be interesting to see how they shoot the new Lion King. However, accordin to Disney, the same groundbreaking technology used in The Jungle Book will also bring the story of Simba to photorealistic life. As for the casting, well, the film is already off to a great start. Glover certainly has the charm, wit, and humor to lead it. He is currently in the middle of shooting the untitled Star Wars Han Solo spinoff with Alden Ehrenreich. We’ll also see him in Spider-Man: Homecoming next, although his role in that film has yet to be revealed. While Jones is a prolific actor, he is best known for that deep booming voice. Most would recognize him as the voice of Darth Vader, a role he reprised for Rogue One: A Star Wars Story. But he also did the voice of Mufasa in Disney’s animated version of The Lion King. It should be interesting to see if Disney will have anything to present to us at the D23 Expo this year. The Disney-fan convention tends to have a few fun surprises that leave fans balling. The Lion King doesn’t have a release date as of yet, but Disney is reportedly putting the film on the fast track to production. So we’ll keep you up to date as the film gets closer to lensing.